This is such a beautiful mirrored bedside table, its finished off with a diamond like crystal along the side of the bedside. 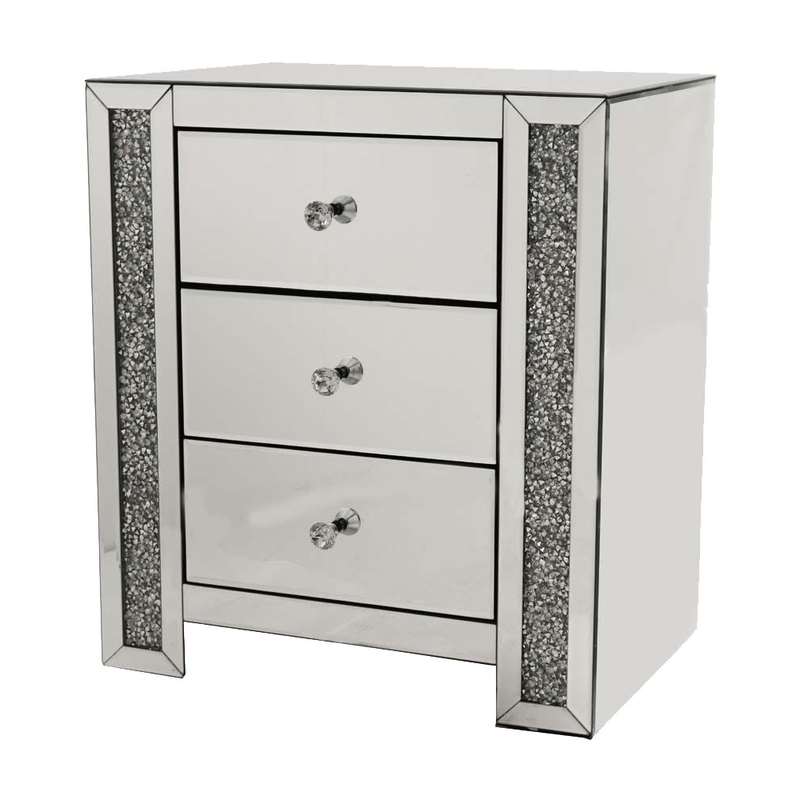 This is such a pretty bedside table that has a lovely mirrored finish. The bedside table could easily brighten up your room and really make it. This stunning bedside table is part of the Gatsby collection.